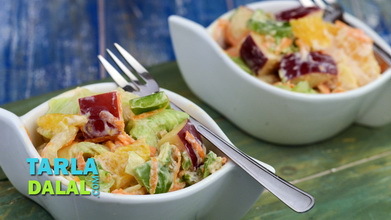 A combination of red and regular cabbages gives this Garlicky Cabbage and Spinach Salad an appealing countenance with contrasting colours, which is further accentuated by shredded spinach. 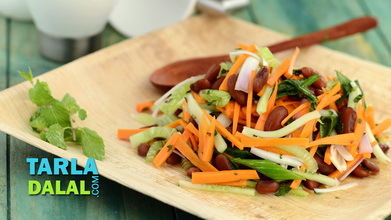 Grated carrot adds a mild sweetness to this salad, while walnuts impart a salty nuttiness that you are sure to relish. 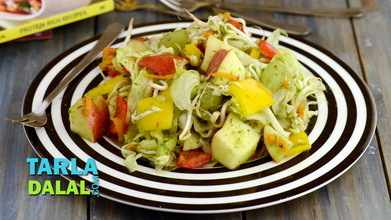 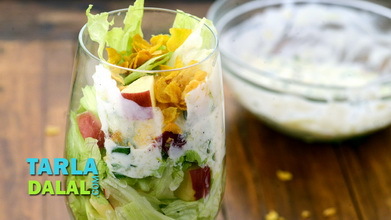 The dressing, made of garlic, mustard and lemon juice is the highlight of this recipe as it defines the actual, strong flavour of this salad. 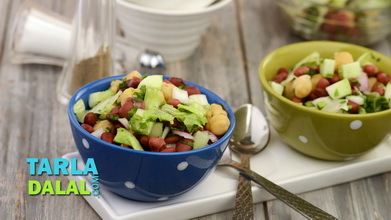 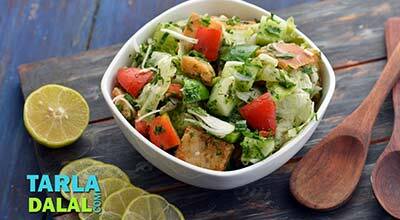 Delightfully oil-free, this salad requires no cooking and is an easy snack for weight-watchers to toss up in a jiffy. 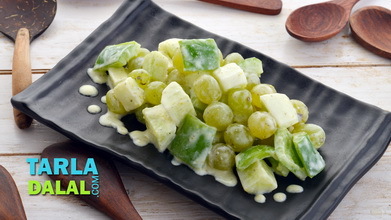 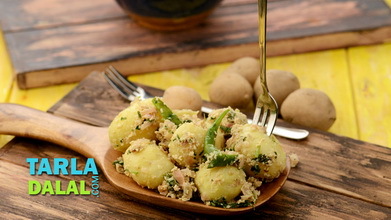 It is also amply nutritious, with vitamin C from cabbage, vitamin A from spinach and omega-3 fatty acids from walnuts. 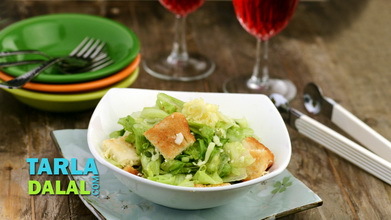 Combine all the ingredients along with the garlicky dressing in a deep bowl and toss well.